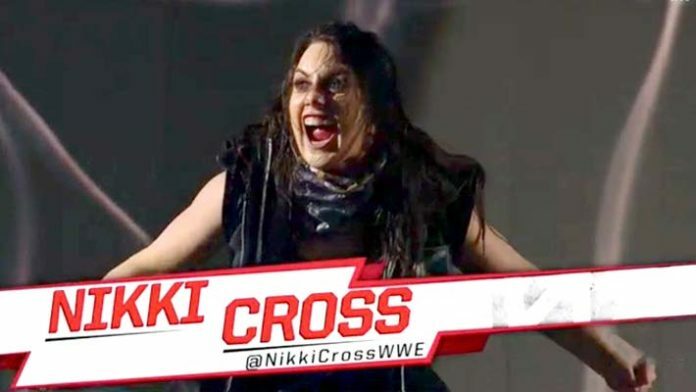 Nikki Cross has made her WWE RAW debut by teaming up with Bayley and Natalya in a six-woman tag team match to take on The Riott Squad (Liv Morgan, Ruby Riott, and Sara Logan) on this week’s episode of Monday Night RAW in Memphis, TN at the FedExForum on the USA Network. Prior to the match, Michael Cole made it known that all of the NXT stars that are being called up to the main roster will appear on both RAW and SmackDown Live before being assigned to a brand. On a side note, EC3 also appeared on this show by being shown in a backstage segment pitching to be Brock Lesnar’s opponent at the Royal Rumble. Lacey Evans, Lars Sullivan, and Heavy Machinery are the other stars expected to be called up to the main roster in the near future. It turns out that Cross has actually worked on the main roster before. In November, during a SmackDown TV taping in Manchester, England at the Manchester Arena, Cross took on then-SmackDown Women’s Champion Becky Lynch alongside the other SAnity stablemates (Eric Young, Alexander Wolfe and Killian Dain). The match was short as it only went five minutes with Lynch winning by submission.